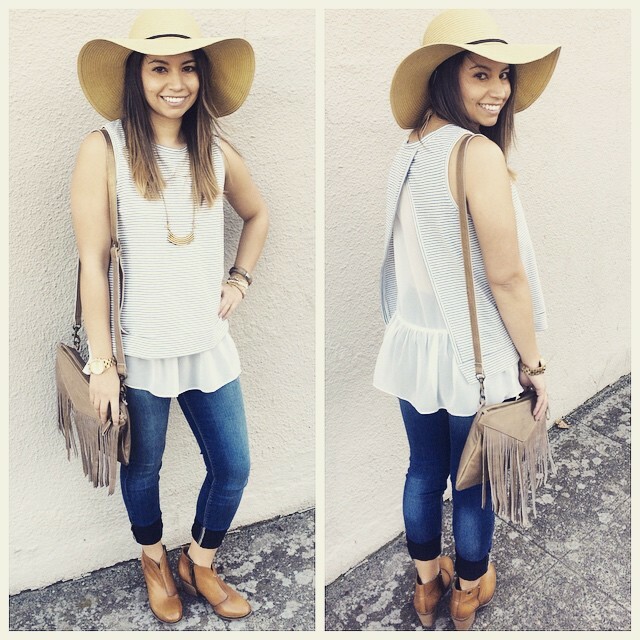 Marisol modeling striped Wells Grace top, Sneak Peek LA denim, Coal Headwear, Liebeskind fringe bag, Bussola leather booties. Next Next post: We’re excited to announce . . . A C T I V E W E A R ! ! !